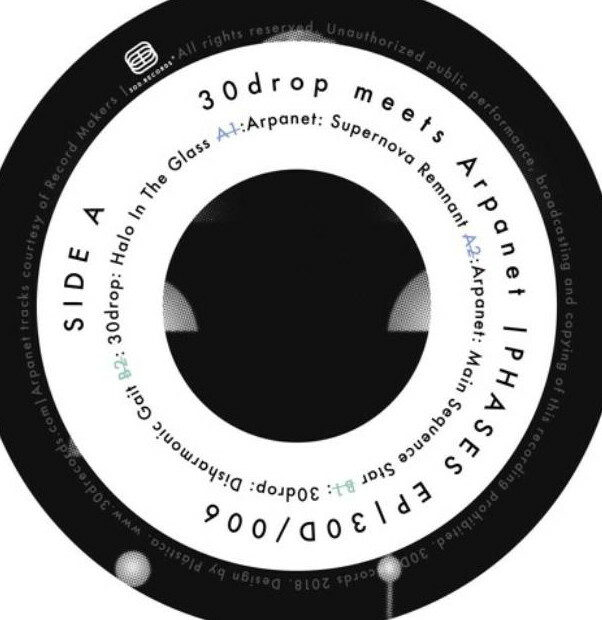 Drexciya Research Lab: The return of Arpanet & new Transllusion 12"
There is a new/old Arpanet track, 'Einstein Ring', included on a 7" with the Electric Eclectics box on Fundamental Records. You can play the track here and pre-order here. 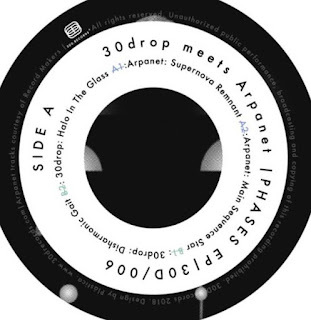 As if that was not enough, there are two more new Arpanet tracks on a split 12", Phases EP, with two more by the Spanish producer, 30drop. This is the first new material by Heinrich Mueller under this alias since 2006. You can hear samples of all the tracks at this link, it's available from 25th June. Resident Advisor have a link to the full version of 'Main Sequence Star' here. Just to illustrate how far ahead of his time Mueller can sometimes be, 'Einstein Ring' is actually a sped up version (with a little extra production) of an unreleased track from 2006. This has been on YouTube since that time and comes from the Relativity & Time Shifting lectures, made to promote Inertial Frame. Its been just under a month since copies of Transllusion's A Moment of Insanity 12" first went on sale in Clone's shop and now it is on general release. All four unreleased tracks can be sampled here and it can be ordered here. 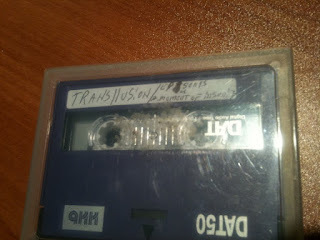 Clone have written a blog post about it with a picture of the actual DAT tape (below). There is a brilliant new 90 minute radio show from Germany that concentrates on the work of Heinrich Mueller. No news on the Drop30 release or the Exaltics...both pending release dates although the Exaltics now says 'sold out' as sometimes happens on Juno!